Millions of children undergo surgery annually. Recent studies suggest there may be reason for concern. This video, featuring Dr. Dean Andropoulos, Dr. Peter Davis, and Dr. Caleb Ing, provides a summary as to why research is needed and the type that is needed. Dr. Janet Woodcock, director of the Center for Drug Evaluation and Research at the Food and Drug Administration, and Dr. Michael Roizen, of the International Anesthesia Research Society, unveil a new partnership that aims to make anesthesia safer for children. Dr. Randall Flick at Mayo Clinic “debunks myths” and answers common questions raised by parents in regard to anesthesia. 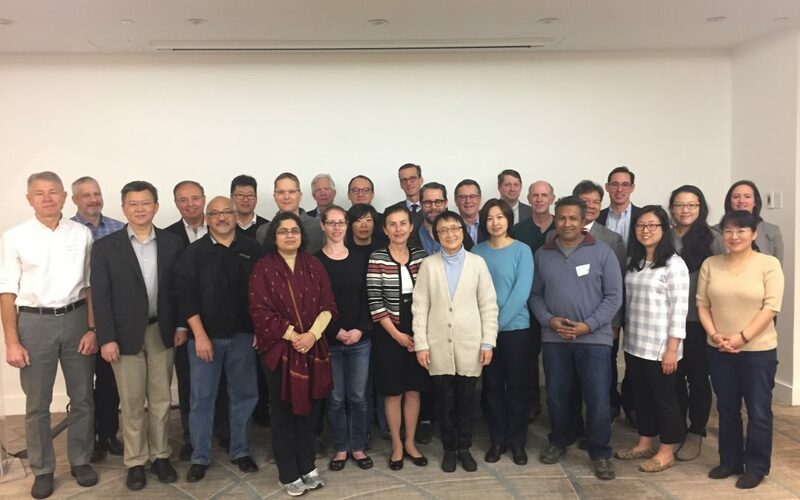 The workshop brought together a diverse, multi-disciplinary group of researchers in an effort to develop a common framework for pre-clinical studies. The overarching goal of this workshop was to develop consensus regarding reporting of studies for publication, so that there is comparability and consistency across different laboratories, and discuss future directions for pre-clinical research in anesthetic neurotoxicity in the developing brain. Visit the SmartTots booth at the Society for Pediatric Sedation in Colorado! May 20–22, 2019 Aurora, Colorado. Concerns about anaesthesia-related neurological injury in young children have been increasing among parents, health-care providers, and regulatory organisations. These concerns were first prompted by animal studies that showed accelerated apoptosis and neuronal death after exposure to general anaesthetic drugs. Astragaloside suppresses tumor necrosis factor receptor-associated factor 5 signaling pathway and alleviates neurodegenerative changes in retinal pigment epithelial cells induced by isoflurane. Epidemiological studies showed that isoflurane, a general anesthetic widely used in surgery including those for the children, is associated with impairment of neurodevelopment and neurodegenerative diseases, such as Alzheimer’s disease (AD) and age-related macular degeneration (AMD), which are related to the accumulation of reactive oxygen species (ROS). Sevoflurane induces neurotoxicity in the developing rat hippocampus by upregulating connexin 43 via the JNK/c-Jun/AP-1 pathway. As one of the most popular anesthetics, sevoflurane is widely used in pediatric anesthesia. Unfortunately, an increasing number of studies have demonstrated that sevoflurane has potential neurotoxic effects on the developing brain and cognition, even in adolescence. Connexin 43 (Cx43) has been documented to contribute to cognitive dysfunction. The present study hypothesized that Cx43 may participate in sevoflurane-induced neuroinjury and investigated the underlying mechanisms in young Sprague Dawley (SD) rats. Neuroprotective effects of dexmedetomidine against isoflurane-induced neuronal injury via glutamate regulation in neonatal rats. Considerable evidences support the finding that the anesthesia reagent isoflurane increases neuronal cell death in young rats. Recent studies have shown that dexmedetomidine can reduce isoflurane-induced neuronal injury, but the mechanism remains unclear. We investigated whether isoflurane cause neurotoxicity to the central nervous system by regulating the N-methyl-D-aspartate receptor (NMDAR) and excitatory amino acid transporter1 (EAAT1) in young rats. Furthermore, we examined if dexmedetomidine could decrease isoflurane-induced neurotoxicity. The SmartTots program is a multi-year collaborative effort designed to increase the safety of anesthetic and sedative drugs for the millions of children who undergo anesthesia and sedation each year. SmartTots is a research initiative of the IARS, a 501 c (3) non-profit organization.